I typically head outdoors for physical activity -- I like to get at least 10,000 steps in each day -- but the summer heat is making that next to impossible. Any ideas that don’t involve joining a gym? The What, Why & How of Housewalking What: Housewalking is exactly what it sounds like: walking around your house. Of course, it also works in apartments, offices... In fact, I first developed my Housewalking practice in a hotel! And walking in place TOTALLY counts. 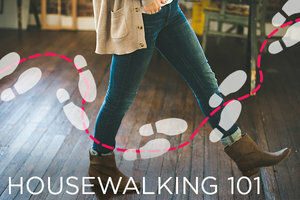 The secret to Housewalking is sneaking extra steps into your everyday life. 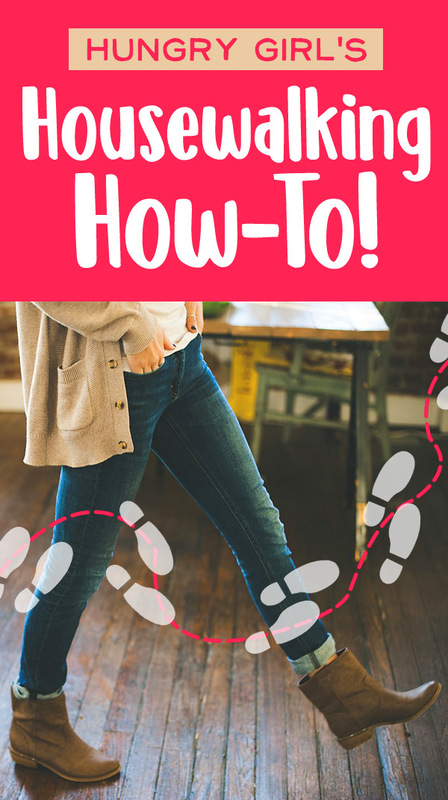 Think of how often you sit throughout the day when you could be stepping! Housewalk for a few minutes here, a few minutes there… It all adds up! Why: I also aim for at least 10,000 steps per day. Having a goal makes me more likely to stay active and less likely to spend my days sitting around, which isn’t great for our health. This is exactly why Housewalking ROCKS! It’s like a fun little daily challenge that’s super convenient… No need to leave your house or carve out hours of time. It’s realistic for people of all shapes, sizes, and activity levels. How: First, get yourself a pedometer or fitness tracker. Most smartphones have built-in step counters (iPhone users, check the Health app!). But if you use your phone as a step tracker, you have to carry it with you at ALL times. 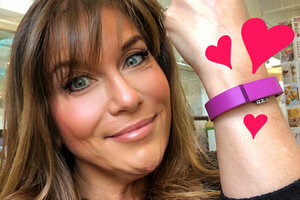 I love my Fitbit. It tracks steps AND calories burned, and it stores each day’s steps so you can monitor your progress. Next, track your steps for a day, just to establish a baseline. Once you know where you’re starting from, you can set manageable goals. Say you hit 4,000 steps on day 1 -- aiming for 10k the next day might be a tad aggressive. So step it up bit by bit, 500 steps per day. It’s totally manageable, and you’ll feel proud to have hit this mini goal each day. Even if you start at 3,000 steps on Day 1, you’ll be up to 10,000 in two weeks! 8. Reading a magazine... like the latest issue of Hungry Girl! June is National Turkey Month… Who says you have to wait 'til Thanksgiving to enjoy the good stuff? Throw these Unique Greek Turkey Burgers on the grill! Click “Send to a Friend” to share this with a future Housewalking partner!